Taiz/Amsterdam – Despite weeks of intense negotiations with Ansarallah (Houthi) officials, Médecins Sans Frontières (MSF) said that stocks of essential medical supplies cannot be delivered to two hospitals in a besieged enclave of the city of Taiz, in southern Yemen. Today MSF’s trucks have been stopped again at Houthi’s checkpoints and denied access to the area. “It is very frustrating that, after weeks of negotiations, we have made no progress in convincing officials of the need to provide impartial medical assistance to the victims of the ongoing fighting within this enclave, despite the continued support we are providing to health facilities in Houthi-controlled areas,” says Kleijer. Taiz residents of the enclave speak of increasing restrictions to bring in water, fuel and food supplies. Prices within the besieged area have surged dramatically and people struggle to find enough drinking water. Ordinary Yemenis living in the densely populated areas of Taiz live in constant fear of snipers, stray bullets and mortar shelling, which is being used indiscriminately by both warring groups, while airstrikes hit Taiz city on a daily basis. People struggle to reach clinics and hospitals, as they are scared from the fighting, the struggle to cross frontlines and are lacking transport due to fuel shortages. People often look for medical care by visiting befriended nurses or doctors in their private homes. The arms embargo on Yemen, which has turned into a de facto general blockade implemented by the Saudi-led coalition and the UN, has led to country-wide critical shortages of food and fuel, which are only available for extortionate prices. Taiz formerly had 20 hospitals for its population of more than 600,000. Due to the conflict, only six of these continue to function, and often only partially. They lack health staff, fuel and essential medicines, and are overwhelmed by the high numbers of wounded seeking to access their emergency services on a daily basis. “The situation in Taiz is dramatic and will only get worse in the coming weeks if no efforts are made to spare civilians from the violence and allow them to access basic services, including health facilities,” says Kleijer. As an impartial and neutral medical humanitarian organisation, MSF supports all hospitals in need of essential supplies in Taiz, whether they are in areas controlled by Ansarallah/Houthi-affiliated forces or by local resistance. In Taiz alone, where MSF has worked uninterruptedly since May, 3,644 war wounded patients have been treated in MSF supported hospitals. More than 15,500 war-wounded patients have been treated in MSF-supported hospitals in Yemen since the beginning of March 2015. MSF calls on all warring parties to allow humanitarian and medical supplies into all areas; to facilitate access to medical facilities for all the sick and wounded; and to protect healthcare infrastructure and medical staff in accordance with international humanitarian law and Yemeni traditions. 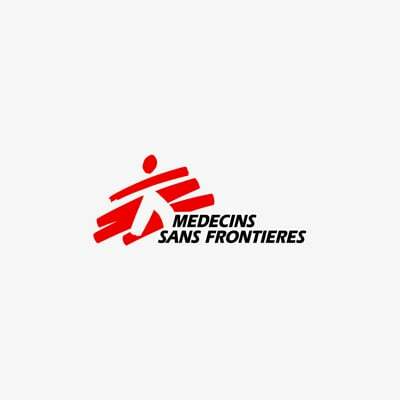 MSF is an international medical organization that was founded in 1971. Today, MSF provides impartial and free of charge health services to those in need in more than 70 countries in the world including Yemen. In Yemen, MSF works in eight Yemeni governorates including Sana’a, Saada, Aden, Taiz, Amran, Al-Dhale’, Ibb, and Hajja.